Special Needs Trust: When you need compassionate help to protect your loved one and make sure they are cared for when you are no longer able to yourself. Insurance Trusts (ILIT): Kevin will stay on top of premiums due, paying taxes and initiating reviews to ensure the adequacy of the coverage provided by the policy or policies in the trust. 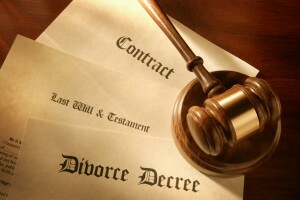 Divorce: Kevin serves as a trustee during the settlement process of a divorce to provide a neutral party to ensure assets are protected and disbursed according to the covenants of the decree. Bankruptcy/Receivership: Kevin is available to serve as a trustee in the short term during the settlement of assets. Personal Injury Settlement: When a minor is the recipient of a settlement in a personal injury case, typically a trust for the minor is created to look out for their best interest and to make sure that they, and not others, benefit from the settlement. Kevin will serve as the caretaker for the trust in such cases, and he will look out for the minor’s interest in how the settlement funds are used. Charitable Remainder Trust: Kevin works diligently with the advice of the team of advisors to see that the goals of the trust are met. Executor of an estate: Kevin will serve as the executor to efficiently settle your estate so your heirs do not have to “put their lives on hold” to focus on final matters.